If you're anything like me, you enjoy participating in crafty swaps - whether with real life friends in your sewing circle or guild, or, online swaps which are a lot of fun on Instagram. We send the main swap item (mini quilt, mug rug etc...) and love to send a little "extra". 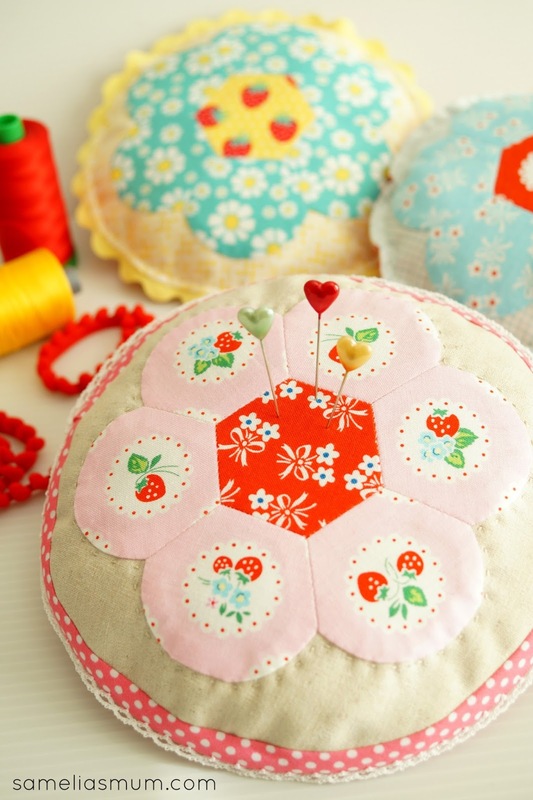 I love pincushions and often create them to send to partners. 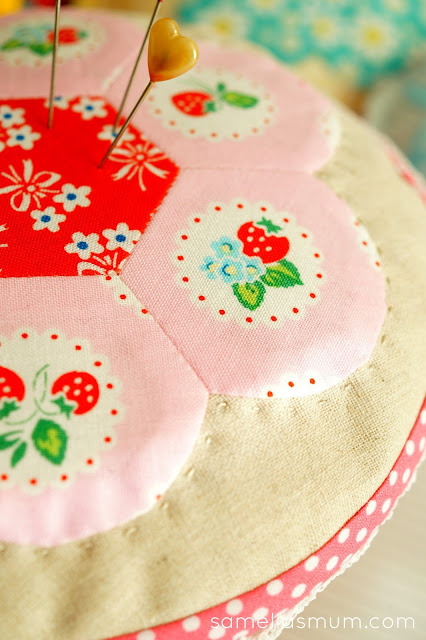 Today, over on the Penny Rose Blog, I'm sharing the EPP Flower Pincushion pattern plus template. 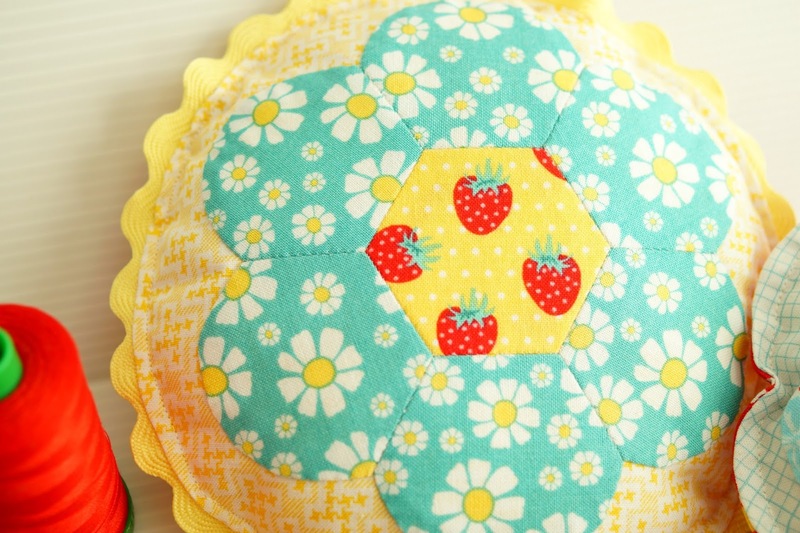 The EPP template is actually a flower, rather than the regular hexagon (which we all know and love). It's quite simple to make and in my opinion, very lovely. I couldn't stop at only one flower pincushion, so ended up making 3 of them today. Yep I am addicted to making these pretties and then embellishing them all differently. The paper piecing set which I used is by Sue Daley Designs and you can purchase it by following this link. I used the 1" hexagon papers but I bet the smaller ones will be super cute! These EPP Flower Pincushions will make lovely gifts for sewing friends or just make up a bunch and keep them all for yourself. I went there, and do not find the post. I love your pin cushions. This idea is very pretty. What kind of glue do you use please?